These curricular meetings are designed to support the Instructional Leaders in the WVEC member districts and schools. •	Receive a professional resource. This could include, but is not limited to ASCD publications and/or other professional books and magazines/articles. •	Time to network and discuss critical issues that you, as an Instructional Leader are facing. •	Content for the morning session of the meeting will be determined by the group to meet the needs of all. •	Training and practice for how to implement the IMPACT CYCLE, a model for instructional coaching, will be the focus in the afternoon. Tami has had extensive experience working with English Learners as an Instructional Assistant, Classroom Teacher, Principal, and most currently as the Coordinator of a large Title III Consortium within Indiana. She is well versed in planning, instruction, and assessment for ELs. 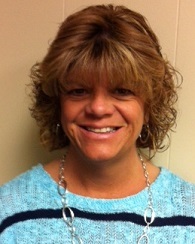 She currently serves as the Director of Professional Learning for WVEC. *Cost of all workshops are based on membership in an Indiana ESC. Any registrants who are not members of an ESC in the state of Indiana will be required to pay the non-member fee of twice the amount of the workshop cost. 12 people are registered for this event.